We are a family business based in Sittingbourne, Kent and carry out both domestic & commercial removals, locally and nationwide. As a family business we always, as a matter of professional pride, treat our customers as individuals and our number one concern, handling your home contents as we would our own. We have built up a reputation for friendliness, courtesy, care & consideration to all of our clients. 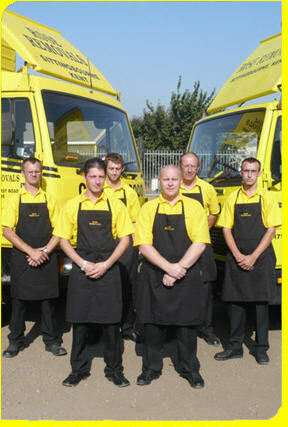 We offer you a personal removal service, catering to your individual needs. Whether you want a full packing service or a basic removal, its up to you. You can count on help with planning, advice on packing and full support on the day. Our aim is to make your moving day as stress free as possible. Your Rose Removals surveyor will always provide you with a written quotation as opposed to an estimate. Estimates can change giving the removal company the right to alter its original price after the removal has taken place.